Growing up in a family that was pretty much in agreement that The Beatles were awesome, I heard a lot about all the legends and little factoids behind them. Who was their first drummer? (Pete Best) Who was the “fifth Beatle”? (There are many answers to that, but my dad liked to say Billy Preston, though I’d probably say their producer, George Martin, deserves the credit.) Was Paul dead? (No.) Who was the namesake for the song “Eleanor Rigby”? (Eleanor Bron, who featured in Help! and the fantastic Alfonso Cuarón remake of A Little Princess. I found that one out on my own as a kid and was pretty proud of that one.) A lot of biopics seem to like to play with fact and mix it in with these types of legends so that the image of the subject is maintained, maybe even elevated, in the eyes of the public — making sure to include every little milestone and seemingly significant contribution to the world that a single artist (or group of artists) made and making its significant nature that much more legendary. Back in the mid-2000s, with films like Ray and Walk the Line seemingly starting a trend in biopics for the recently deceased, it was only inevitable that someone would Weird Al the whole thing. 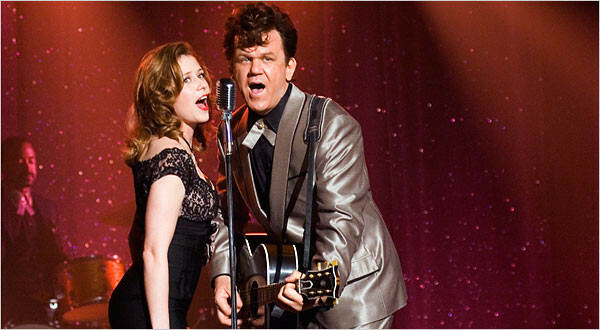 Walk Hard is a hilarious send up of these types of films, creating its subject as an amalgamation of Johnny Cash, Ray Charles, John Lennon, Roy Orbison, Elvis Presley, Bob Dylan, and any number of influential musical artists that you can rattle off. Walk Hard, which gets its title from a song inspired by an argument Dewey has with his wife in the film, is filmed with pretty much the usual narrative styling of these types of mythological retellings: you start with the artist overcoming some sort of hardship and finding his calling, which leads to the early performances, the struggle to follow a dream, the discovery, the rise to fame, the rubbing of elbows with other famous musicians of the time, and the falls from grace, the loves and losses, etc., all to wind up at the end of it all, when the subject has not only influenced the world around him, but has learned something about himself, as well, maybe with one final performance of a song that has gained new meaning in all this reflection. Don’t tell me that I’m spoiling anything for you, because you’ve seen this all before. 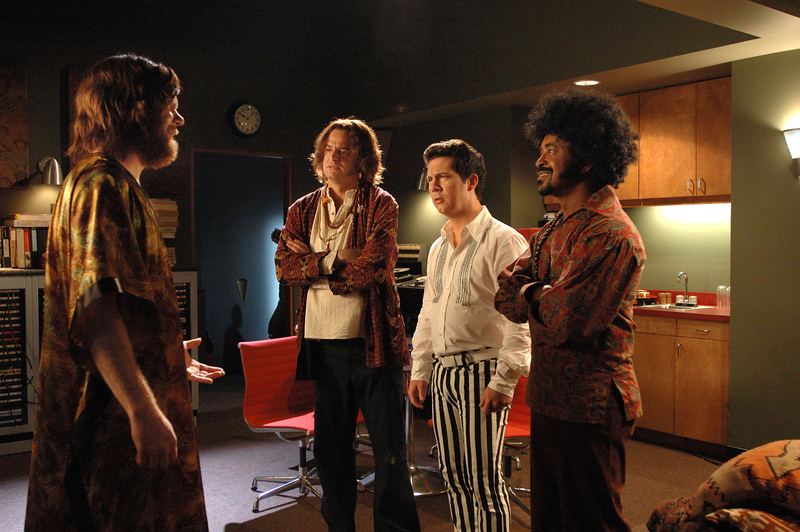 One great thing that Walk Hard does is something very similar to what films like This is Spinal Tap and Airplane! did, in that it completely understands the subject it’s lampooning. 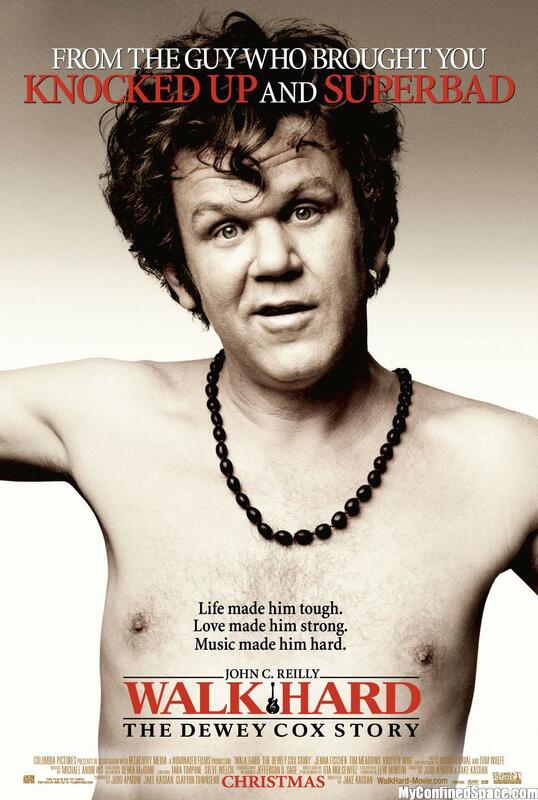 It knows this structure, and it knows how to expose the humor behind the musical biopic, and it only helps that John C. Reilly is so multi-talented at what he does. He acts, sings, plays guitar, and can deliver on all sorts of comedy bits with a straight face, and there are times when he’s on stage, even while singing a sweet-sounding song about falling in love that has some surprisingly dirty and not so well-hidden messages behind it, that he actually feels like he’s playing a real musical artist. It helps that Reilly has such a great voice — his Roy Orbison style is not only spot-on but also pretty stunning. It also helps that the writing and supporting cast are pretty spectacular. Kristen Wiig and Jenna Fischer play the two loves of Dewey’s life, and while we know that Wiig is going to be just fine in this post-Bridesmaids world without SNL, this movie shows that Fischer, who takes on the larger part as the June Carter Cash to Dewey Cox’s Johnny, should have a pretty good post-Office career, too, so long as she’s used as well in future projects as she is here by the team of Jake Kasdan and Judd Apatow. Their script has Dewey going through several decades and various musical stylings and makes him a sort of Forrest Gump in the process, not necessarily influencing musical artists of his time, but rubbing elbows with them and following the same trends. This allows for some pretty hilarious stunt miscasting, too. 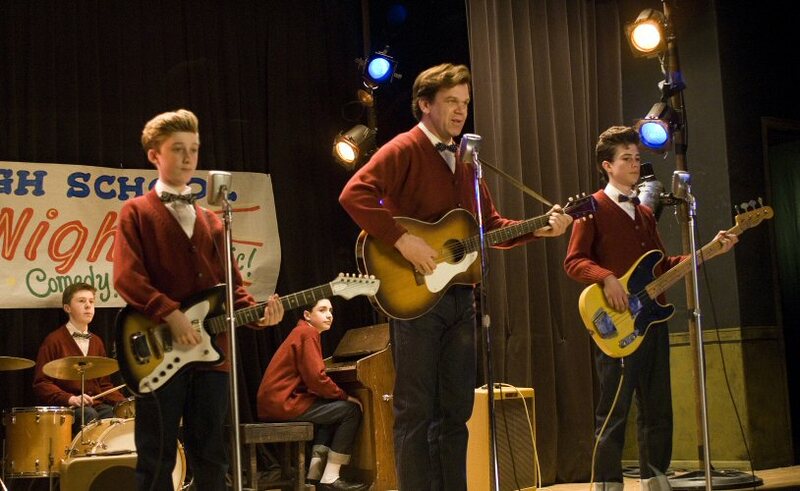 The scene where he meets up with The Beatles is by far the best scene in the film. There’s a bit of a lull in the pacing and laughs as the film starts heading toward the end and as Dewey starts the more reflective portion of his life, but they smartly hit the fast forward button, and the pacing very quickly picks back up just in time to poke some more fun at the modern music industry before ending appropriately and predictably. I had initially ignored Walk Hard, largely because, for some reason, I had memories of the film coming out and the reception being rather cold. I don’t know why that is, as a quick look at Rotten Tomatoes shows that the film has a solid 74%, which should’ve been enough for me to at least rent it at some point. I quickly forgot it existed, only to be reminded of it in this article from The A.V. Club (Nathan Rabin’s entry). The clip featured there was enough to convince me to go rent this film, and I can honestly say that it was pretty much the most I had ever laughed at a movie in quite some time. I liked enough to watch it again today, after having only seen it yesterday, just so that I could share it with my roommate. It’s not the greatest comedy ever, for sure, but if you’re in the mood for a smartly constructed but still incredibly silly film and don’t mind quite a bit of dirty humor, Walk Hard: The Dewey Cox story will definitely hit the spot.